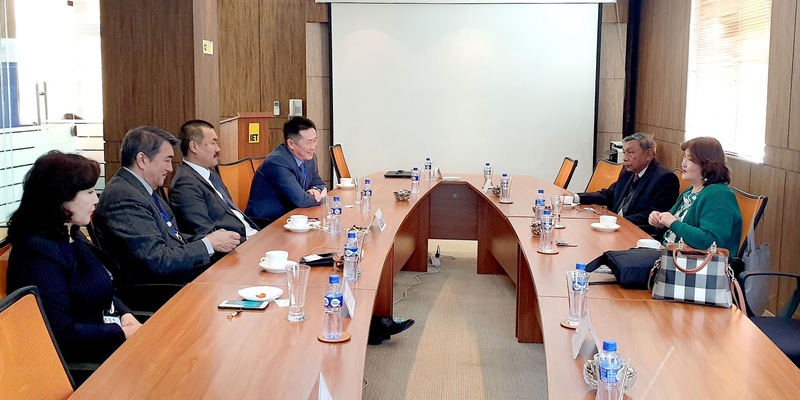 On March 25-27, 2019, the Polytechnic College of Engineering and Technology (PCET), based in Bayangol District, Ulaanbaatar, Mongolia, subjected itself to re-evaluation by the Asia Pacific Accreditation and Certification Commission (APACC). Experienced team composed of Dr. Paiboon Saiyawongs, APACC Special Officer in Thailand and Consultant of the Office of Vocational Education Commission (OVEC), Thailand was the Lead Accreditor; Mrs. Chuluuntsetseg Dagvadorj, Foreign Affairs Manager, MonCert LLC was the Member Accreditor; and Ms. Adrienne Abril, APACC Officer acted as Documentation Officer. Initial meeting with PCET Management. 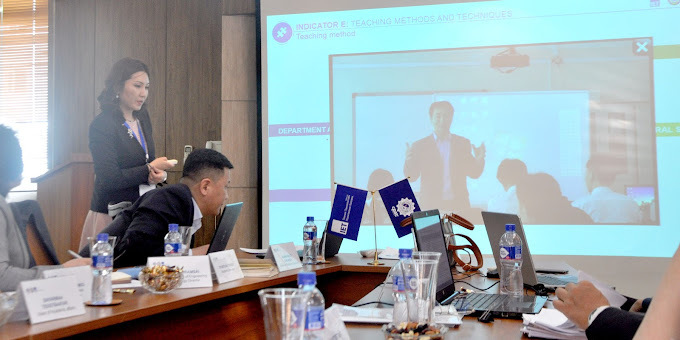 (Clockwise) Narantuya Purevdorj, Director, Instructor Development Center; Namsrai Emeeljidgid, Consultant; Sergelen Munkh-Ochir, Director, External Relations Department; Ganbat Baramsai, Director; Dr. Paiboon Saiyawongs, APACC Lead Accreditor, and Mrs. Chuluuntsetseg Dagvadorj, APACC Member Accreditor. PCET (formerly Institute of Engineering and Technology) was first accredited by APACC in 2012. 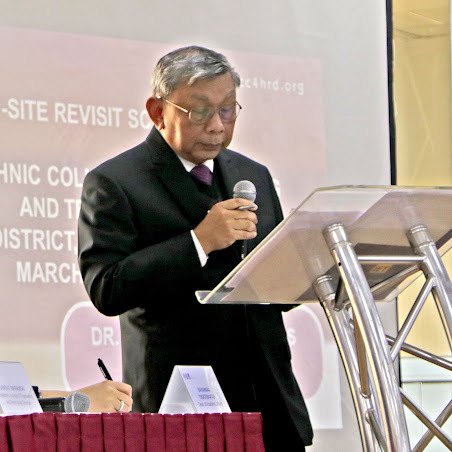 It was established as the 5th Technical College on March 2, 1984 which marks 2019 as its 35th Founding Anniversary. PCET is currently being headed by the Director Mr. Ganbat Baramsai. 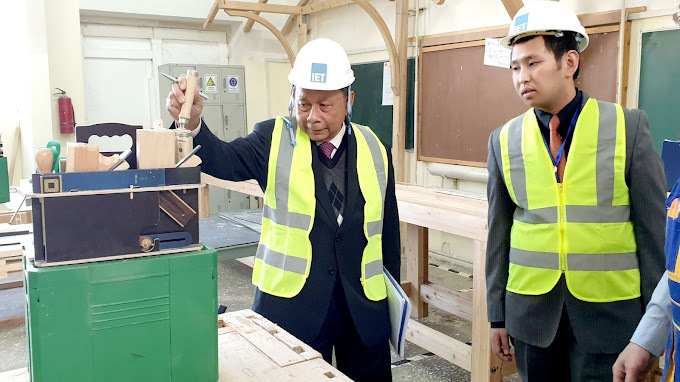 PCET offers nine Vocational Education Tracks and six Technical Education Tracks mainly on construction-related subjects such as carpentry, plumbing, welding, and road and bridge construction. 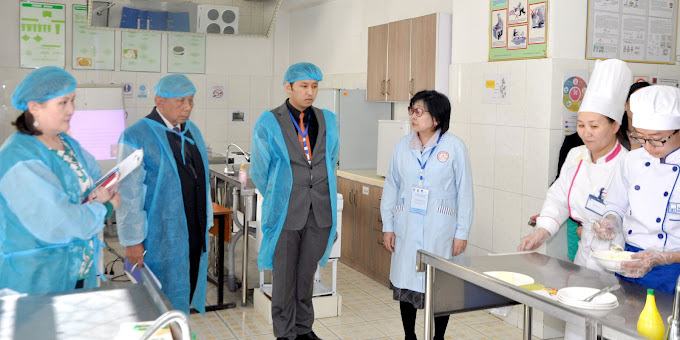 The institution was awarded Bayangol District’s “Premier social protection contributor” in 2014, Bayangol District “Premier Vocational training and production center” in 2015, and recognized as “Premier national employer” among 150 premier employers in the provision of health and social protections to staff, by Ministry of Labor and Social Protection. 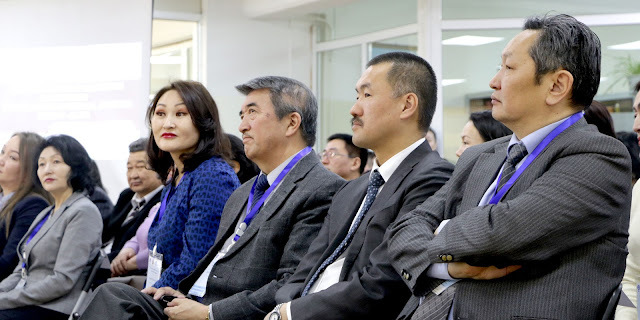 Apart from institution’s officials, notable personalities graced the activity’s opening program from the Ministry of Labor and Social Protection, Mongolian National Council for Education Accreditation (MNCEA), Ulaanbaatar Regional Methodology Center, Vocational Education Assessment Center, and German Society for International Cooperation. 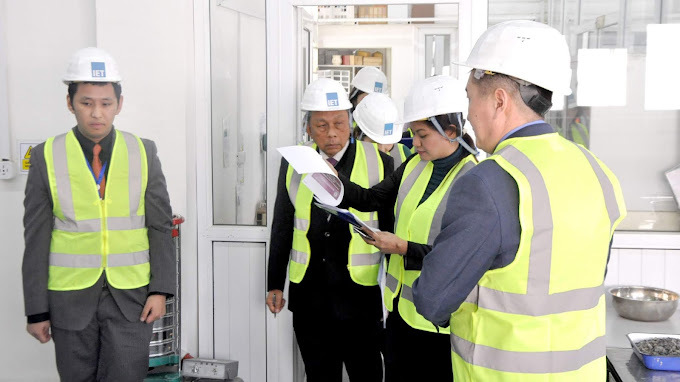 The Director Mr. Ganbat Baramsai thanked the APACC Team for their presence and briefed them on the actions taken by PCET to address the recommendations given during the first on-site visit in 2012. 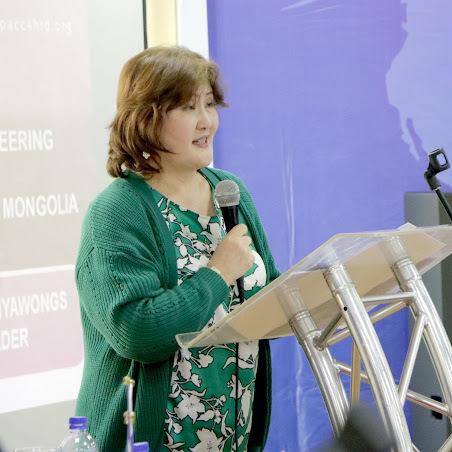 Mrs. Chuluuntsetseg Dagvadorj, in her Special Remarks, congratulated PCET for applying for APACC reaccreditation and wished PCET all the best during the whole exercise. 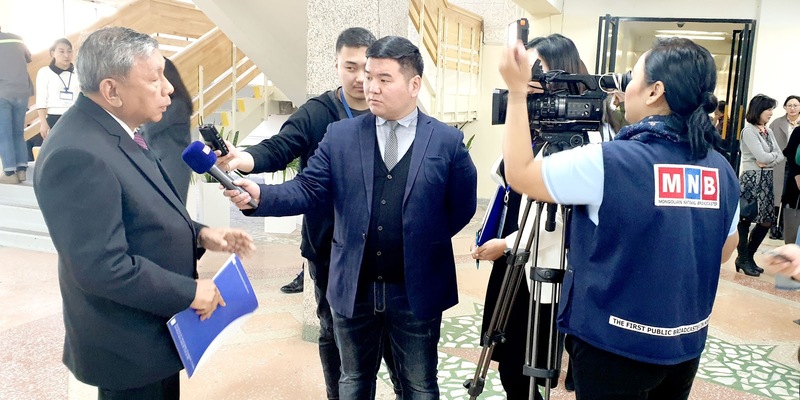 She emphasized the importance of administration’s stability, faculty and staff development, as well as sustainable management of teaching and learning processes in the uplift of the institution’s quality and for continuous improvement. 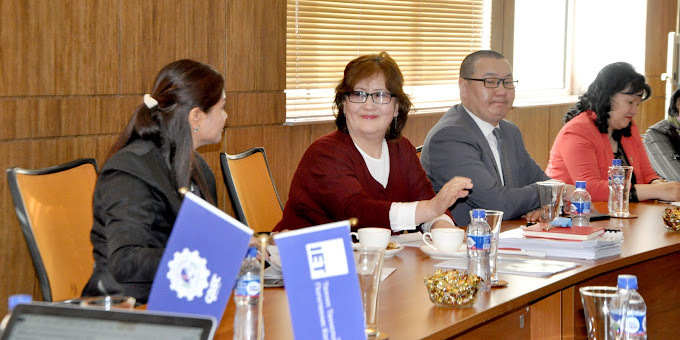 She further mentioned that PCET has to look forward to having cooperation with other APACC accredited institutions to exchange best practices, faculty members, and students. 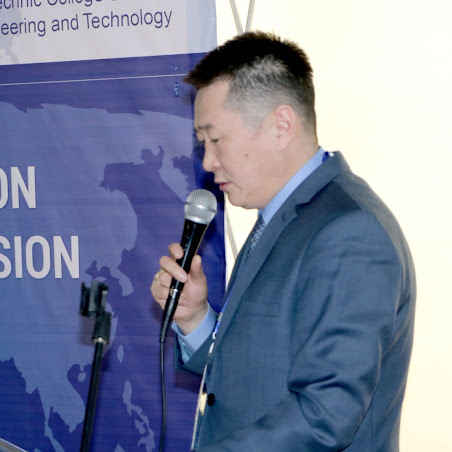 In his special remarks, Dr. Paiboon Saiyawongs expressed his appreciation for the warm reception of the PCET team and informed the audience of the objectives of the visit, which is mainly to assess if PCET is still functioning according to APACC standards. He then discussed the full on-site visit schedule and requested for comments from the audience. 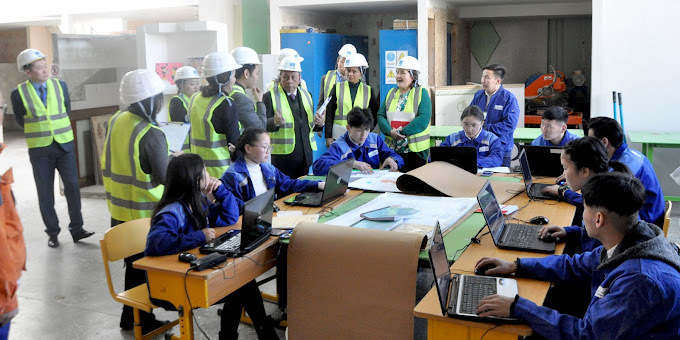 Tour of classrooms, laboratories, workshops, and other facilities commenced after the opening program. Briefings per APACC criterion which are 1) Governance and Management, 2) Teaching and Learning, 3) Human Resources, 4) Research and Development, 5) Image and Sustainability, 6) Other Resources, and 7) Support to Students, were presented by criterion heads prior to actual interviews to provide in depth understanding of PCET system. These happened on the first and second day of the visit. 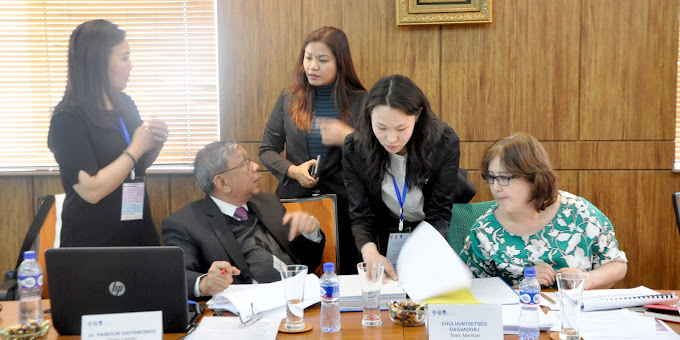 On the third and last day, March 29, 2019, the team, through the Lead Accreditor, reported the Qualitative Indicators including the Commendations (noteworthy practices that are over and above the APACC requirements), Affirmations (acknowledgments of adequacy of provisions to comply with APACC requirements), and Recommendations (suggested measures to address gaps in order to comply with APACC requirements). 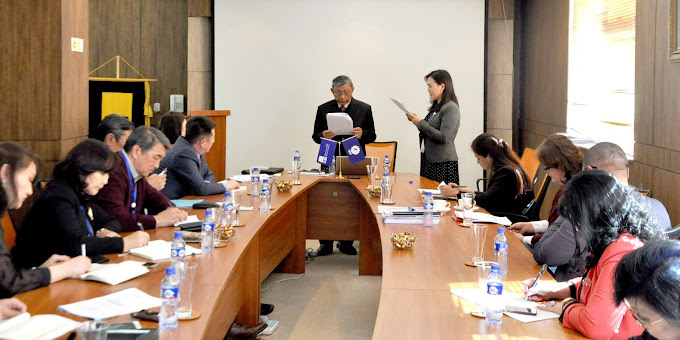 The report was fully accepted by the institution, made known through the closing speech of PCET Dean of Academic Affairs Mrs. Bayarmaa Tsogtbaatar. 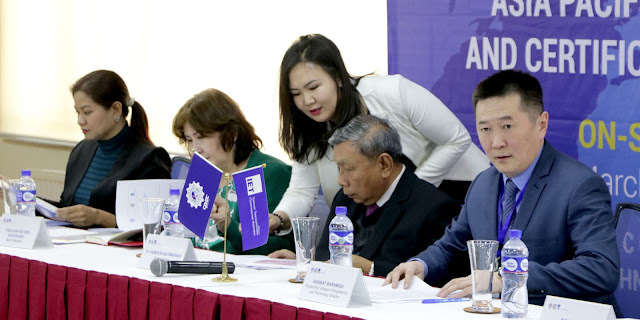 The Vice Chairman and Director of MNCEA Secretariat Dr. Ariunbold Jaaljav and MNCEA Senior Officer for Technical and Vocational Education Accreditation Mrs. Altanchimeg Bat-Ulzii were in attendance during the closing program to provide support to PCET.